The Madinat Jumeirah Resort, Dubai’s largest resort, is set to open its third and final hotel on December 1. 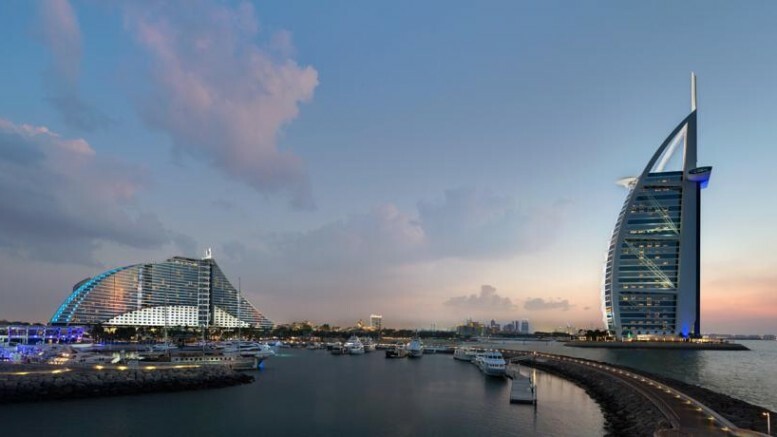 The Jumeirah Al Naseem will be the complex’s largest hotel with 430 rooms, joining the 294-room Jumeirah Al Qasr and the 292-room Jumeirah Mina A’Salam. Set across a private beach, the hotel will be located 25 minutes from Dubai International airport and feature an adult-only pool and seven “Arabian-inspired” restaurants. Rooms will be divided into four categories from the 51 sqm Resort Deluxe to the 60 sqm Ocean Club Superior, plus four types of suite ranging between 126 sqm and 500 sqm in size. All rooms will be equipped with free wifi, a high-definition LCD TV and DVD player, large open plan bathrooms, a coffee/tea maker and ironing facilities. An additional four restaurants will be managed independently with outposts from New York diner Black Tap and Salvatore Ferragamo’s Il Borro Tuscan Bisto. The restaurants will fringe a man-made turtle lagoon built to rehabilitate endangered turtles. Guests will able to use facilities within the rest of the Madinat Jumeirah resort, which include the Club Executive and Premium Leisure Club, a theatre, fitness centre and shopping bazaar. Be the first to comment on "New Jumeirah Hotel in Dubai’s Largest Resort Opens"